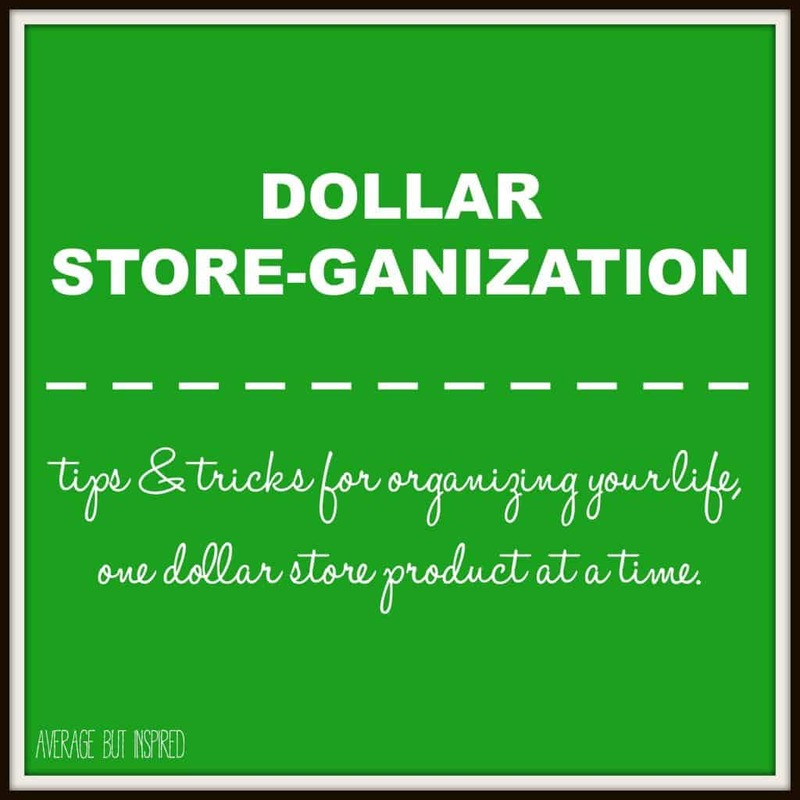 Welcome to Part 3 of my series, Dollar Store-ganization, where I share tips and tricks for getting organized with products from the dollar store. The goal of this series is to show that you don’t have to spend a fortune to get your life (or stuff! ), in order! 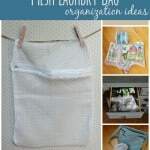 Last month I shared ideas for getting organized with mesh laundry bags, and previously it was all about plastic bins. 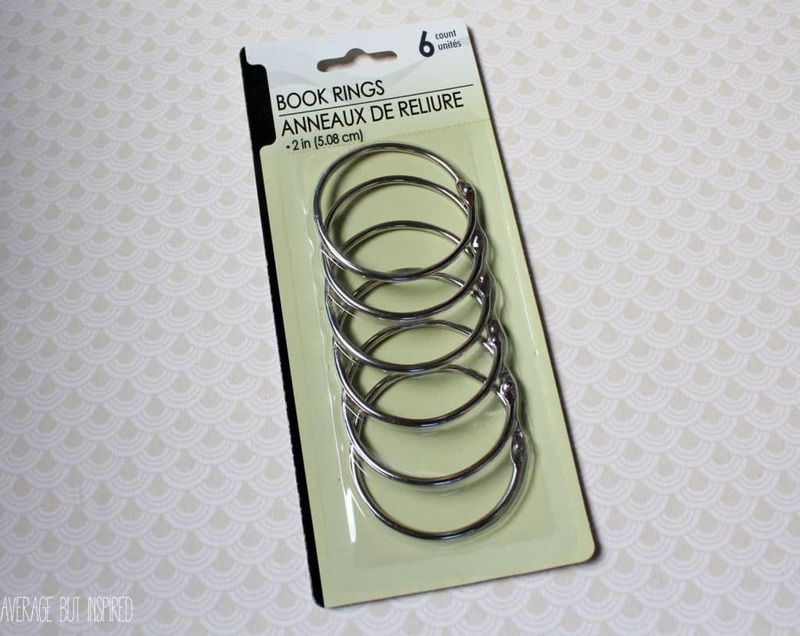 This post is all about the mighty binder ring – the often overlooked but oh-so-valuable binder ring. Seriously. I’m sure you’re thinking that the binder ring can’t really be that useful, but it is! And because you get six for a dollar at Dollar Tree, you’re about to fall in love! 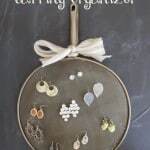 Here are some of my favorite ways to use these babies! 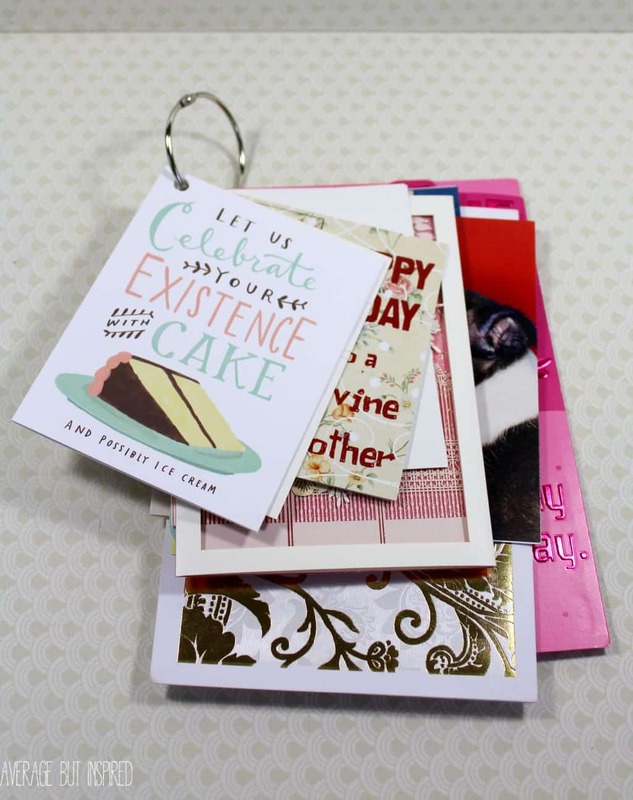 If you save cards that you receive, they can quickly accumulate and become difficult to contain. I used to keep mine loose in a box in my closet. And it would fall on my head all.of.the.time, sending cards flying everywhere. SO ANNOYING! Now I pop them onto binder rings, which keeps them together and makes them easy to look back at. I put mine on different rings depending on the occasion and/or sender. Now if the box falls on my head, at least the cards do not fly everywhere! 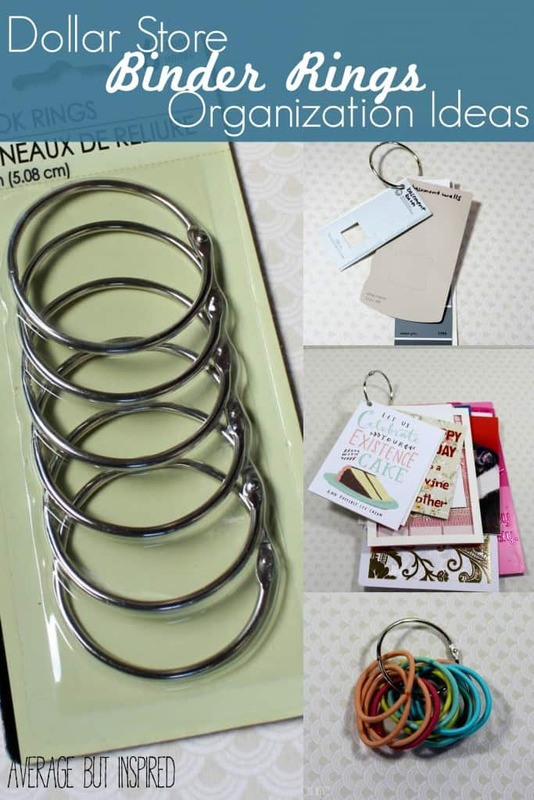 Binder rings are the PERFECT place to corral paint chips! Put the colors you already have in your house on one and the colors you may want to use in the future on another! 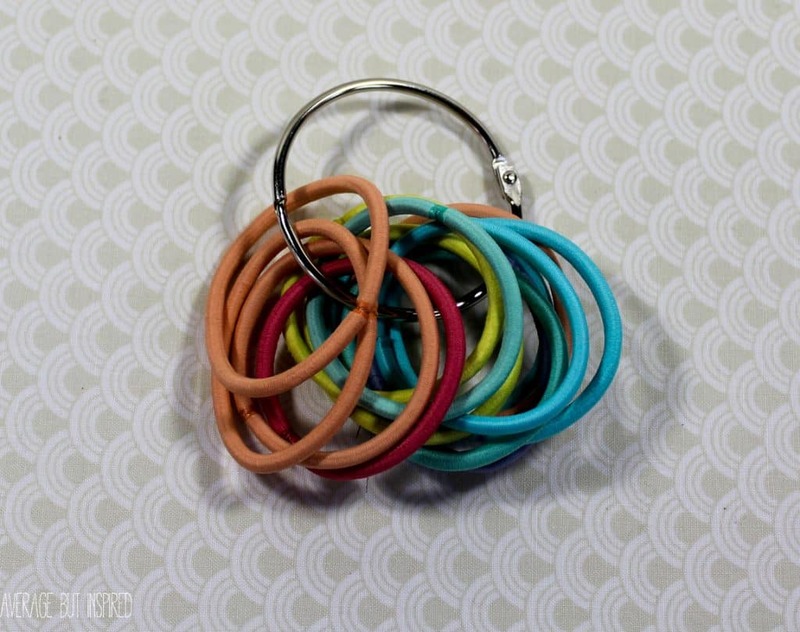 This makes it easy to pop them into your purse and match with home accessories on the go! 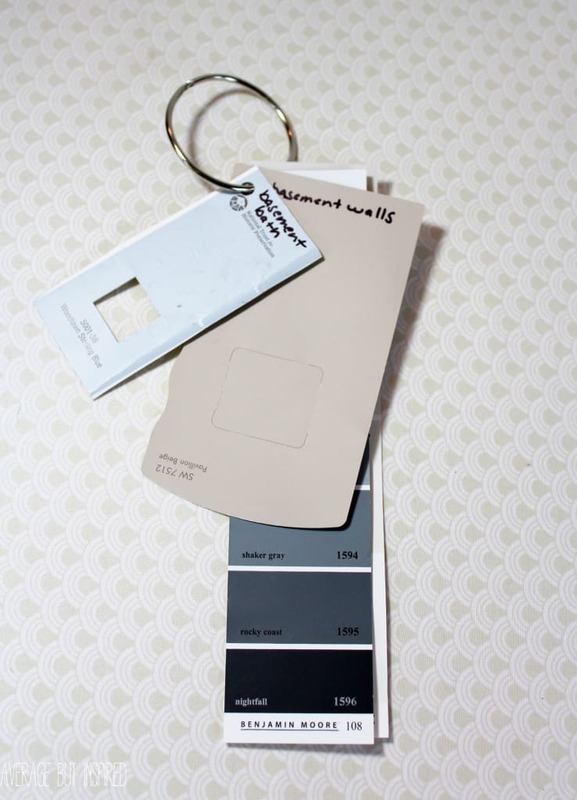 Plus, having them in one spot means you’ll be less likely to forget what color your living room is painted (ahem, ahem . . . not that I’d know anything about that). This would work equally well for fabric swatches! 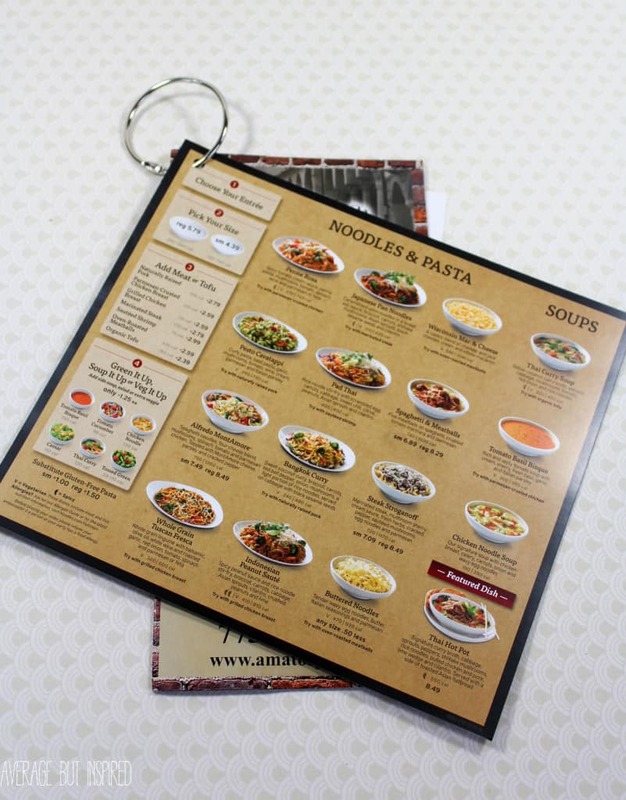 If you order delivery or takeout a lot, then you probably have lots of restaurant menus at home. Putting them onto a binder ring will keep your junk drawer organized and make your pizza delivery order stress-free since you’l never be missing your menus again! 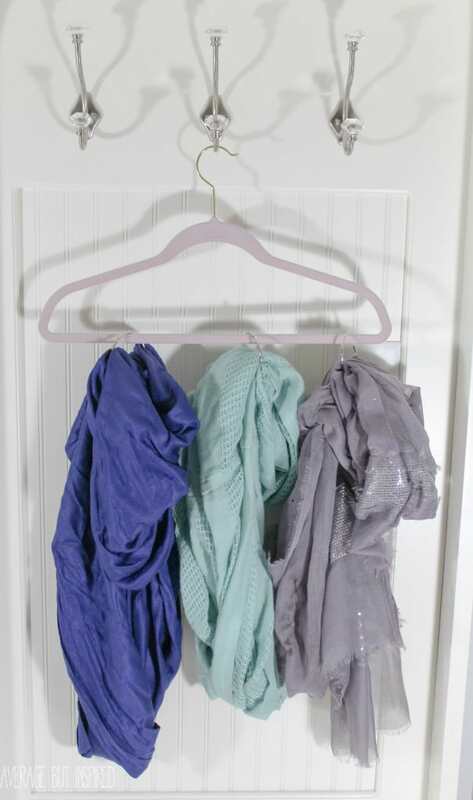 Clip binder rings through a hanger and then weave your scarves through them for an instant scarf organizer! You’ll be able to see your scarf collection clearly and avoid having them fall all over the floor! 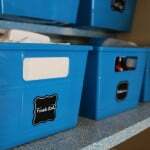 I’m sure there are tons of other ways to use binder rings to get organized – let me know if you have any ideas to add to this list!